During the Easter/Anzac Day break this year Dave and I jetted off to spend six nights on Langkawi, a small island in Malaysia. 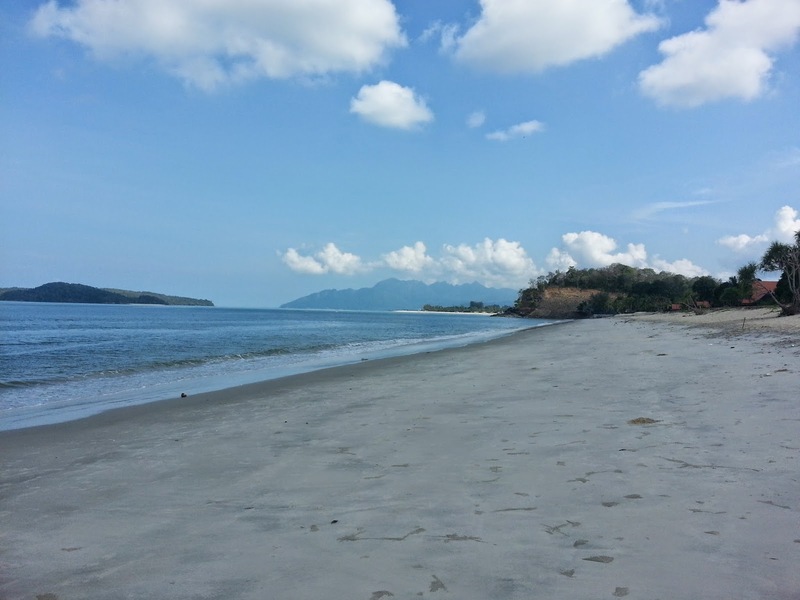 Unlike other places I've visited in South East Asia Langkawi was SO laid back. There's a notable absence of touts trying to sell you everything and anything as you headed out for a walk. This made window shopping for fabric (and other goodies) an absolute pleasure!. During an entire stay we only had "taxi" shouted at us twice (and one lot of taxi drivers told us they couldn't take us right now as they were eating...love it)! With my recent obsession with buying fabric (I do more fabric accumulation than actual sewing so I think it's safe to say that my hobby really is fabric shopping) my main goal for our stay in Langkawi to was find out where to shop for fabric. 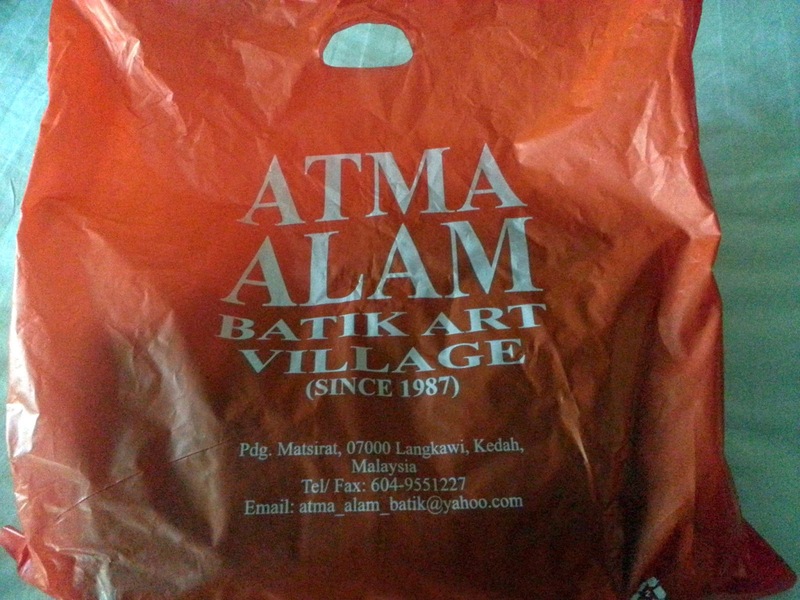 The Atma Alam Batik Art Village seemed to be the place (and possibly the only place) to go on a fabric binge in Langkawi and came very highly recommend by our taxi driver (taxi drivers know everything so I always value their opinions). 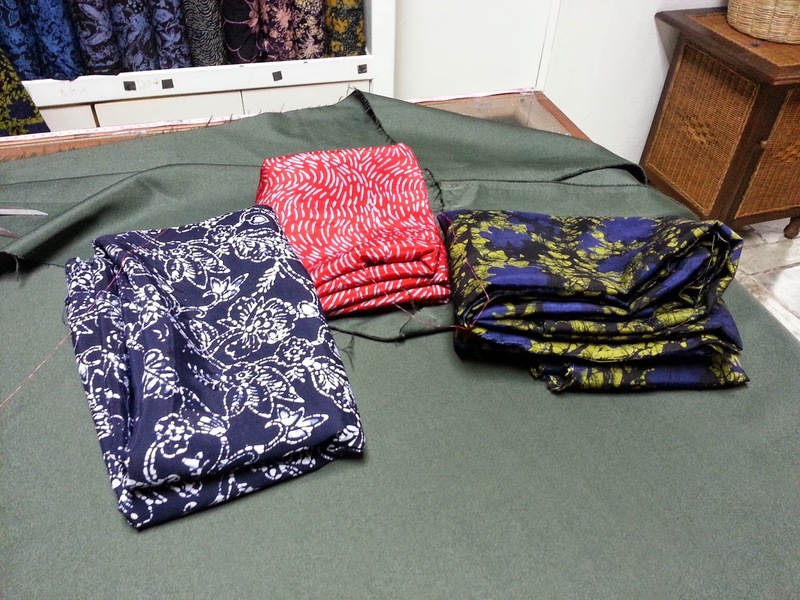 All of the fabrics for sale are printed in-house and most of the dress-making fabrics seem to be block printed. There are no photos allowed so excuse the blurry (illegally snapped) phone photos! 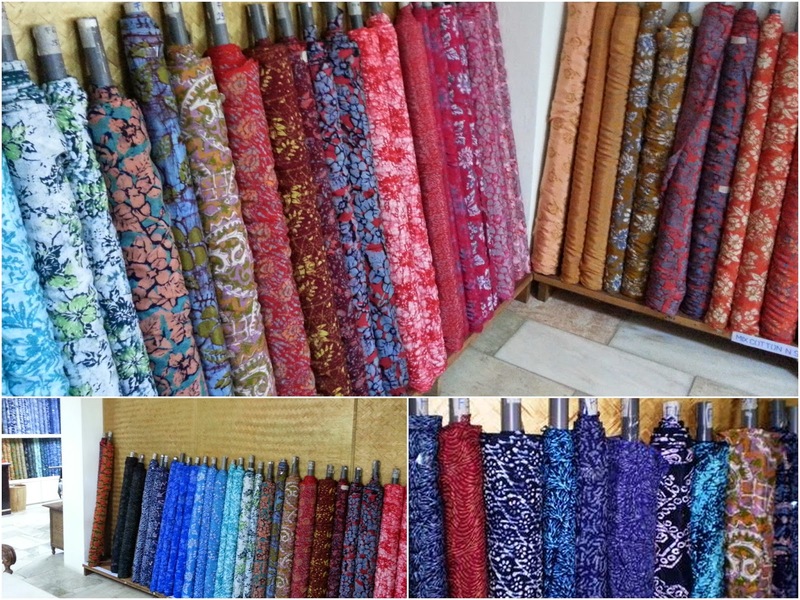 As you can see there is quite a lot of beautiful batik fabric to choose from and most of it is REALLY lovely with tasteful, modern prints. Fabrics on offer range from cotton voile (what exactly is cotton voile), pure cotton, cotton/silk blend and pure silk. Initially I walked away with three pieces of cotton/sSilk blend (for about $10-$13/meter from memory). 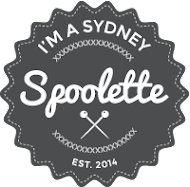 The next day I jumped in a cab and headed back there as I was feeling VERY uneasy about all the fabric I'd left behind!I was anticipating massive anxiety if I landed back in Australia without MORE fabric! MORE! I had plans to make a pair of Suzy Pants with the fabric below...but my stunt pair didn't really work out fit wise so it's back to the drawing board on that one. I've also decided that I like pants with stretch...think jersey harem-style pants (if only I could find an easy pattern for them)! I have 3m of this fabric. Any ideas? This fabric will probably be a dress. Probably a Peplum Party dress (I know I know) as I realize this is more my style than a fit and flare dress! I don't own any fit and flare dresses (that are woven) as I find them really uncomfortable and too tight on the tummy/arms/bodice. This fabric is really wide and I have about 2.5m of it (from memory). Not a great photo of the fabric but it really is very lovely and would make a nice dress for Frocktails which is on in September (let's hope it's WARM then)! 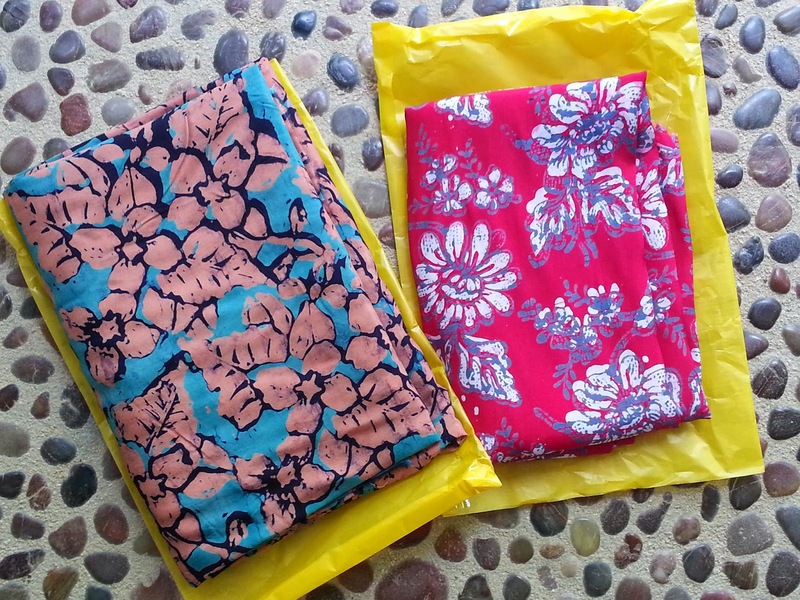 I have 1.5m of this super pretty fabric that I bought with the view of making a tank top from. I've since decided that I'm not really liking the Grainline Tiny Pocket Tank as the bust dates are tres strange on me and I don't have the skills (or desire) to make the top work for me. 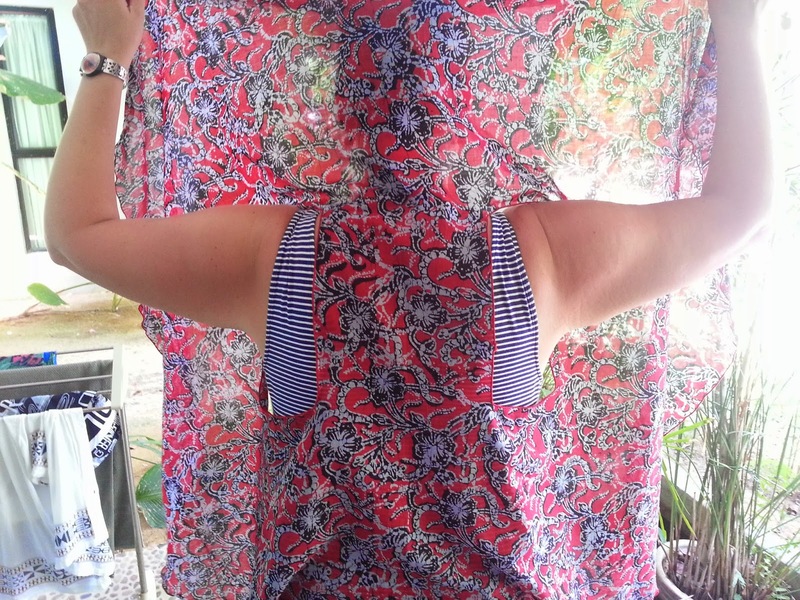 I'm thinking I could give the Roxanne top a whirl (by Victory Patterns) for this fabric. I think this fabric would look GREAT in a sleeveless version of this top. Of course I've never made this top before so a toile would be in order which is turning me off taking the plunge. Yawn. And...last but not least is this fairly traditional looking batik. I have enough for a dress...but what dress? I really like the Salme Button Shirt Dress that I saw recently on Alex's but. I wonder if this pattern would suit this fabric? I seem to have a bit of trouble matching fabric to patterns. Atma Alam has a lot of ready made garments for sale also...if you're that way inclined. I bought this nifty little cape/vest/thingy with the idea that it's something I could replicate at home (though I'm not sure why as I have one now and that's probably enough). Dave bought himself two button up, short-sleeve shirts (one for work and one for the beach). 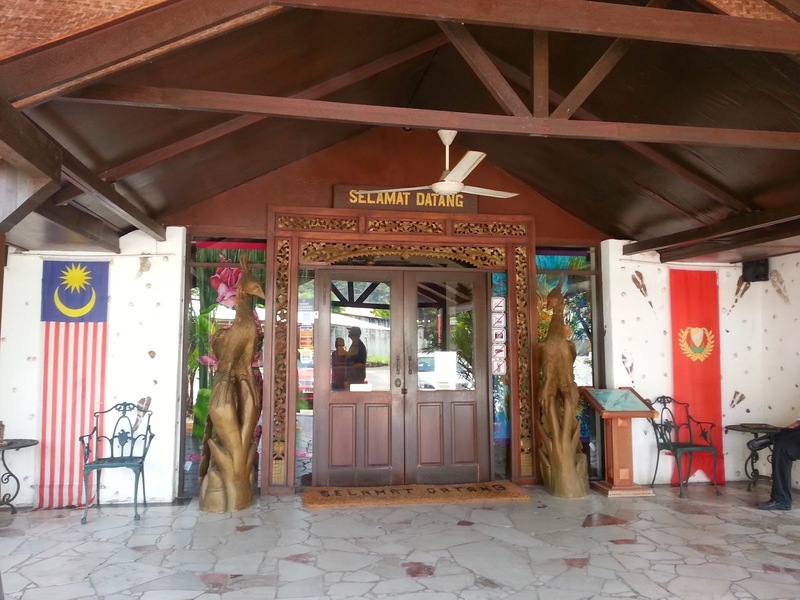 If you're in Langkawi I'd recommend a visit to Atma Alam...they have some beautiful things (and you can even do a batik workshop if time allows). These are all classically beautiful pieces. I think they will be gorgeous summer pieces. I'm so glad you went back and bought more prints. Can wait to see how all these projects turn out!